Have you ever wondered how to disassemble the brass Weatherhead proportioning valve used on 1974 - 1982 Chevrolet Corvettes? Here's a tool that you can use to remove the plug from the end of the valve without damaging the valve or its internal components. The tool is made from a spindle nut and a side-mount external retaining ring, and both components are proudly made right here in the USA. Use: Place your proportioning valve in a bench vice with the threaded end facing up. 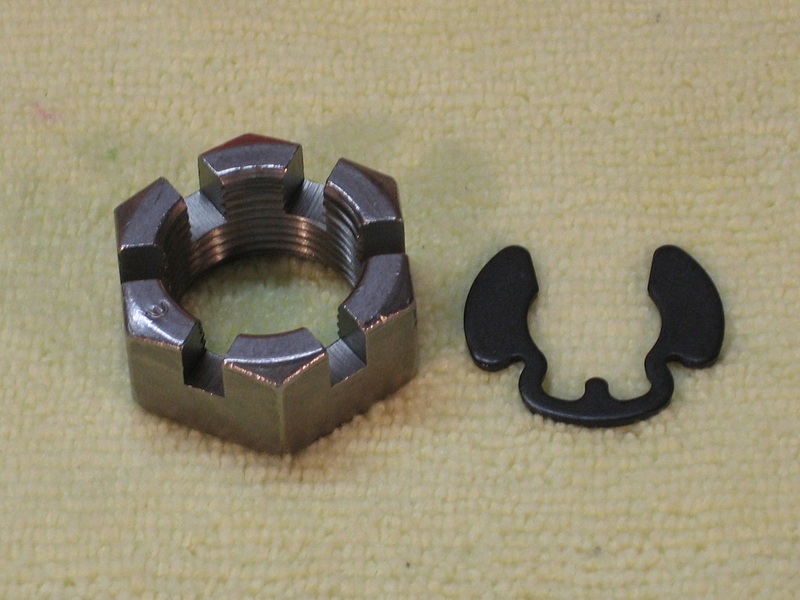 Remove the o-ring and thread the nut onto the end of the valve. Snap the retaining ring into the groove from which you just removed the o-ring. Back the nut off of the valve, pushing against the retaining ring to safely push the plug from the end of the valve. The plug can be reinstalled later by pressing it back into place with your vice.